Let your spirit soar on your wedding day and every day after with this inspiring bridal ring set from Apples of Gold. 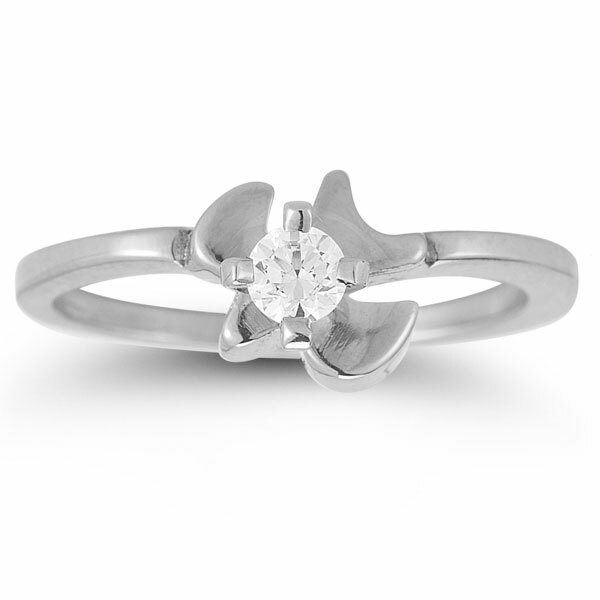 The rings feature a delicately crafted Holy Spirit dove that sets apart this ring duo. 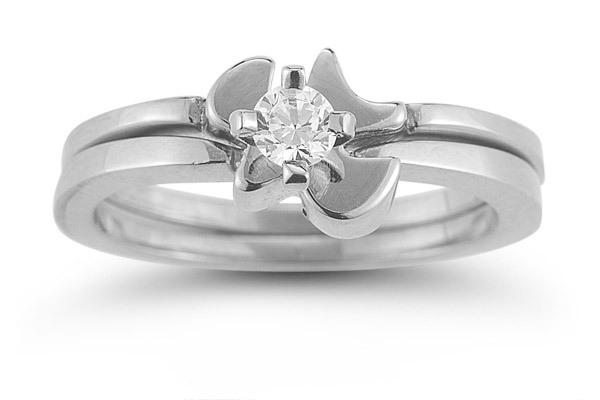 Created from 14K white gold, the dove holds a beautiful, round cut cubic zirconia stone that measures 5mm. 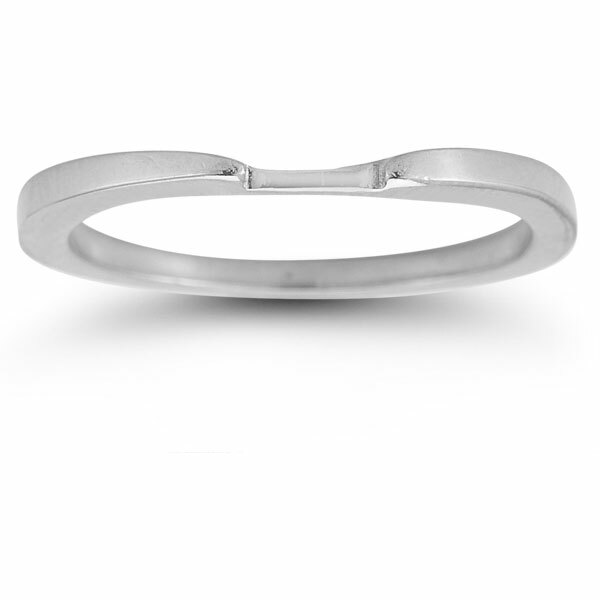 This unique design accent is supported by the two 14K white gold bands, which are polished for the perfect shine, making this set stunning from the day you say "I do!" 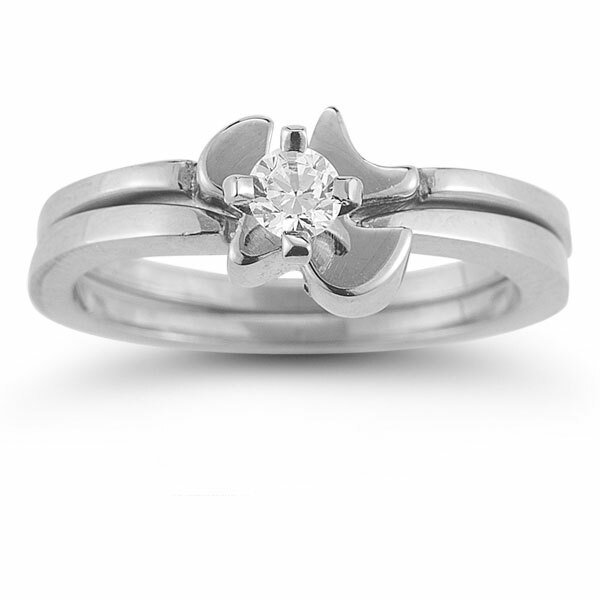 Apples of Gold Jewelry guarantees the Holy Spirit Dove Cubic Zirconia Bridal Ring Set in 14K White Gold to be of high quality and an authentic engagement ring with real diamonds, as described above.